From Photograph albums of World War I subchasers (#11502-b), Special Collections, University of Virginia Library. Thanks to Phil Lord for sending in this photo scan. 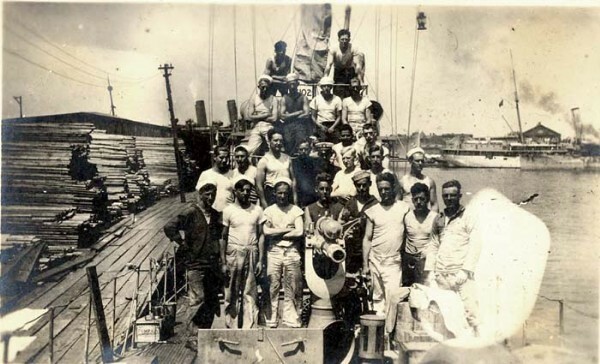 A crew shot from an unidentified subchaser.